Has Pacquiao dropped Bob Arum and Freddie Roach for next fight? The longtime trio of Manny Pacquiao, Freddie Roach, and Bob Arum looks to be no more. Or maybe it's just more miscommunication between them? … [Read more...] about Has Pacquiao dropped Bob Arum and Freddie Roach for next fight? Can Freddie Roach help Mercito Gesta beat Jorge Linares? Years ago during Manny Pacquiao's sensational run at the welterweight division, Bob Arum of Top Rank promotions signed up several Filipino fighters to his stable to ride the wave of Pacmania. 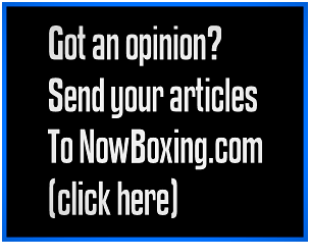 … [Read more...] about Can Freddie Roach help Mercito Gesta beat Jorge Linares?